Home 5 GUEST OF SERBIA	Arne Sannes Bjornstad – Belgrade is Europe in small! Arne Sannes Bjornstad – Belgrade is Europe in small! 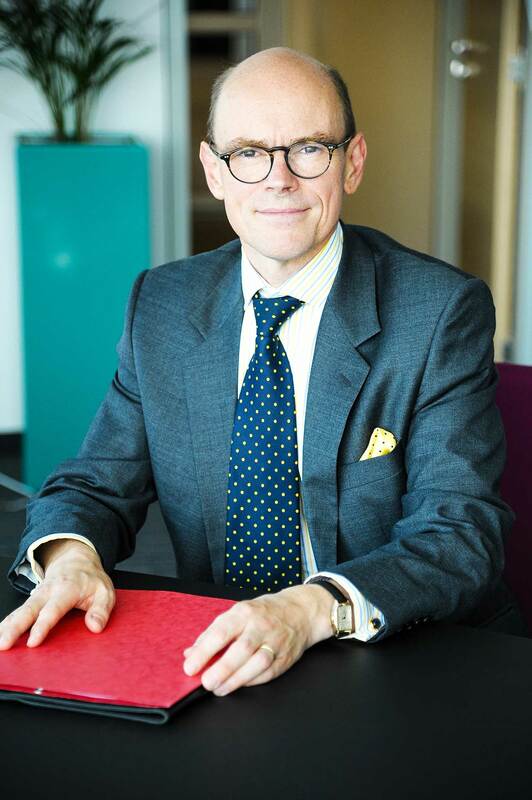 Ambassador of the Kingdom of Norway Arne Sannes Bjornstad talks about his impressions of Belgrade and the connections between two seemingly distant and dissimilar countries. What are your impressions about Belgrade, as a place to live and as a city with a long history? How would you describe the economic and political relations of Norway and Serbia? We have a good political dialogue, and although we may not agree on everything we can work together towards solving common problems. Mutual respect and honesty, as well as close human ties build up for many years make our cooperation and dialogue quite unique in some respects. Numerous Norwegian companies operate in Serbia. Telenor is certainly the best known. How attractive is this market for the companies in your country? Telenor has such a presence that it is sometimes easy to believe it is THE Norwegian company in Serbia. There is however many more. Just to give some examples: Elopak is one of those companies that has early on realized potentials of the knowledgeable and relatively cheap working force. They started a production facility nearby Belgrade, but now are using their Belgrade office for engineering and support to their other production facilities world-wide. Norwegian companies such as UB Connect and B-outsourcing have recognized Serbian potentials within engineering and IT sector. There is a great number of English and Norwegian speaking young people in Belgrade, which has made it possible to open call centers and telephone operated services for Norwegian companies, such as Novicom and Senor. Some, like Cambi, are eying their chances in the field of ecology and clean energies. RAPP Marine group have made a considerable investment into Zastava factory in Gruza. Often Serbia is used as a base for labour- intensive and engineering work, which brings jobs to Serbia. What would you say is the domain that Serbia still needs to work on to become more competent in the European context? Serbia is doing very well, given the starting point. Serbia’s challenge can be summed up b. A city dweller lost in the countryside ask a farmer how to get back home, and getting the answer: “Well, I wouldn’t start from here”. Half a century of socialism, “active” non-alignment and a complicated relationship with other ex- parts of Yugoslavia makes even understanding what EU is all about more difficult that it was for longstanding OECD members or even the Warzaw Pact countries, all the more so that the spirit of Yugoslavia seems to be much stronger here than in Slovenia, Croatia and Macedonia. To joint the EU, Serbia as well as other candidates have to fulfil certain criterias. To call this pressure, shows a lck of understanding. Member states have to abide by the same rules. In some areas the reforms have been quite impressive, but they are lagging behind in others. Serbia will not be able to join the EU until its legislation – both on paper and in how it is being implemented – is in accordance with EU standards. This is a huge undertaking. Serbia is still only in the very beginning of this process, and I have the impression that the difficulties are grossly underestimated. When Norway prepared for membership in the EU in 1994, we were from the start much closer aligned to the EU in most areas than Serbia is today and the volume of EU legislation was considerably smaller. We didn’t have issues like Kosovo, nor with the common foreign and security policy of the EU. Still the preparations was an undertaking that dominated the work of all practically ministries for years. Norway changed, we all felt it, and I believe most of us felt it was a change for the better, even if we decided to stay outside. We didn’t return to the situation before, but is today probably more aligned to the EU than any non-member due to our membership in the EEA, Schengen and NATO. Do you think that Serbia is interesting from a tourist point of view? Serbia is a hidden gem. More could be done to promote the cultural heritage, but also the nature. Serbia has som much to offer, but other issues seem to come in the way of an effective promotion of Serbia as a destination. The competition is though, but the number of people coming from abroad for EXIT is a good indication of the potential, not least in attracting tourists from EU countries. This would also make Serbia better known among Serbia’s EU partners. A satisfied tourist is sometimes the best ambassador a country can have. How interesting do you find Serbian culture? Very. Serbia being at the crossroad of different cultural impulses. This however can only partly explain the virtality of the cultural scene in Serbia. In some way, I think it is fair to say that Serbia is going through a cultural renewal. The Philharmonics is a world class orchestra, and Novi Sad and RTS are also excellent. The Dance, the Jazz, the Photo, the Guitar, the Film etc festivals attract some of the best in the world, and confirm Belgrade’s position,and .this year’s Oktobar Salon will be one of the main international contemporary art event in 2018. The contemporary art scene is flourishing, with new galleries opening up nearly every week, and Serbia should be proud of the re-opened Contemporary Art Museum. Coming back to your question on tourism, the rich Serbian cultural scene is an underexploited potential for tourism.